Today is Treasure Tuesday over at Clare's. I thought that I would show you some "New Treasure's" today. We had a look around the trash and treasure market again this weekend and I managed to find 2 new additions to our household. 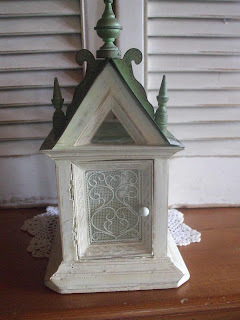 This gorgeous little house is made from wood and tin and when you open up the front door you can put a little tea light inside. Isn't it cute? I also found these 2 painted louvre doors. They already have picture hangers on the back so they are ready to be mounted on a wall. I just have to find the perfect spot. Something else that "I love" around here is this lovely "Flowering Gum" which is just outside our bedroom window and attracts so much bird life. One of my favourite things is to lay in bed on a sleepy Sunday morning and watch the birds playing amongst the branches. Do you remember when I showed you this? I have been painting up a storm lately and have just given it a final coat of paint. 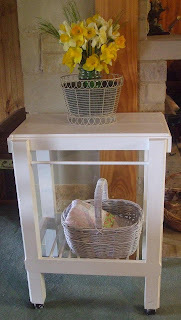 Here it is...... All transformed with a bit of "Shabby Love"
Ooh I love your shabby finds and makeover!! Wow - fantastic treasures! I love your table. Looks great. Love the little house Fee, very cute. 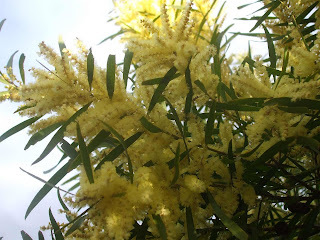 I love the tree too but isn't it a Wattle?? We have heaps in the paddock flowering now too.. Cute house. Lol, you'll have to show us where you hang the louvres now! Love the table in white, makes it look very fresh and cheerful and the yellow flowers just add to it. Wow Fiona I must go treasure hunting down your way ! 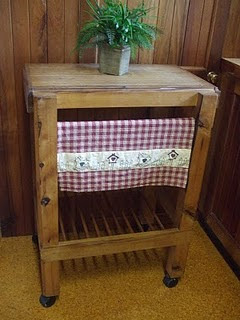 I love what you've done with the table (butchers block?) looks soooo much better . Thanks for showing us and playing along . Just beautiful treasures. I love the little house and the newly painted table. 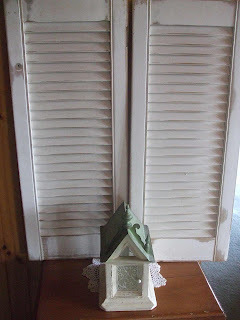 I adore old furniture re-painted my daughter Danielle has shabby chic most of the pieces in her home. Hi Fee, You have shared lots of fascinating things with us this week, I especially like the tea light holder. Beautiful. The little house is a beautiful treasure. no trash and lots of treasures at your house. love all the other makeovers. Lovely !!!! What a gorgeous tea light house!! I love the idea of the louvre doors, how great would it be to make a quilt with a beautiful scene on it, hang it behind them and when they're opened - voila!! Are you sure it's a gum? 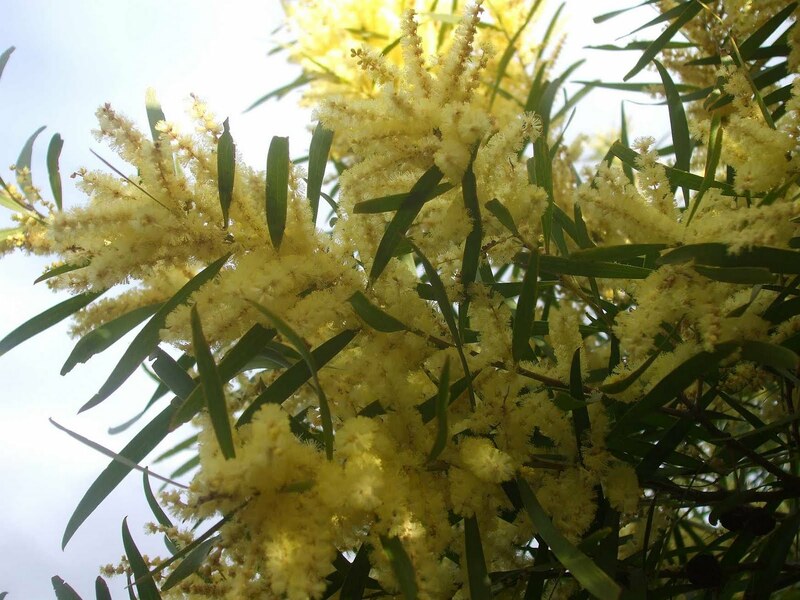 I'd say a definet acacia aka wattle tree...beautiful none the less!! 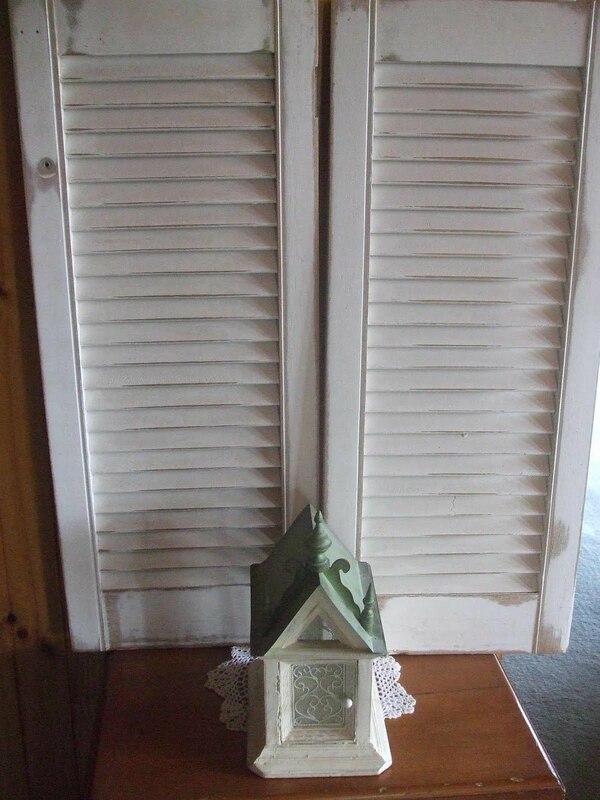 Your "new" little house is so pretty and the big house will look great with the shutters in place too. 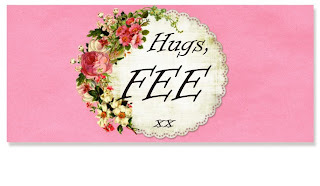 You always find the most wonderful things Fee! Love the tea light house! Also loving the look of the table now it's white. You have a good eye for these things! Great treasures there. Your house will be looking a picture. Lovely treasures and I really like the table painted white , looks very special .